UAE and Saudi Arabia claim "security concerns"
Two Gulf states have announced plans to ban some functions of BlackBerries, claiming that the use of the smartphones present a security risk in the region. The United Arab Emirates (UAE) is to block key functions of BlackBerries, stopping users from sending emails, accessing the internet and sending each other instant messages on their devices. Both Saudi Arabia and UAE have cited 'security concerns', with the UAE ban set to start this coming October and the Saudi Arabia ban starting later in August. Abdulrahman Mazi, a board member of state-controlled Saudi Telecom, said the move is intended to pressure Research in Motion (RIM), to release users' communications data "when needed". There are around 500,000 BlackBerry users in the UAE, and around 400,000 in Saudi Arabia. 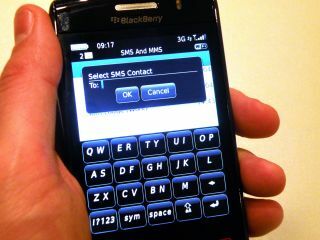 RIM has yet to comment on the move to ban key Blackberry functions in the region. "Many here see this as little more than a power play from the UAE authorities - an attempt to force RIM to handover the security codes or face losing a lucrative market," said BBC Middle East business reporter Ben Thompson.